A sua opinião importa ! A sua satisfação é muito importante para nós, e teremos sucesso se formos uma referência a recomendar. Estamos apostados em melhorar, em sermos realmente úteis. A sua opinião relativamente a nós e aos nossos alojamentos é de plena importância e significado. Ficamos-lhes gratos . Não deixe de enviar o formulário abaixo. Qual dos apartamentos ficou hospedado? Qual foi o seu grau de satisfação da sua estadia? Autorizo a divulgação do meu comentário. Comentário a introduzir nesta página. Algumas fotos de bons momentos passados com os nossos hóspedes. Obrigado a todos. My husband and I loved this apartment and the owners even more. Eleuterio could not do enough for us. Every one of our needs were met. The apartments are very central, so clean and modern and have everything you might possibly need. My husband went back this year and were very dissappointed that all these apartments were fully booked. God willing we hope to go back to our homeland in 2017 and really hope one of the apartments are available. Thank you Euleterio for being such a great host. See you soon. Love my homeland. What an amazing location for the perfect apartment for our 2 week stay in mid March. We have visited Ponta Delgado many times in the past but found this stay much more relaxing. The top floor apartment over looking the harbour was comfortable and with modifications we were set for the 2 weeks. Everything is within walking distance and we enjoyed not having to get in the car and drive everywhere. Parking was easy for our rental and appreciate Eleuterio arranging it, made life easier. The apartment was cleaned during our stay and we had an abundance of clean towels. This well maintained apartment in the heart of the city is a Gem. Eleuterio was great. He picked us up at the airport and before dropping us off at our apartment, he drove us around, showing us the important stuff (which we promptly forgot) and let us know how to get a hold of him if we needed anything. The apartment was clean and the location was perfect. We would definitely stay there again. Super endroit! L'appartement est très propre, fonctionnel, confortable et spacieux. Les 2 terrasses sont parfaites pour petit déjeuner ou apéro. Il est idéalement placé au centre de Ponta Delgada pour visiter la ville , aller diner ou comme point de départ pour toutes les excursions possibles sur l'ile (qui est un endroit magique). Eleuterio s'est rendu très disponible alors que nous ne savions pas à quelle heure nous allions arriver. Il est venu nous accueillir au pied de l'immeuble et nous a tout expliqué de manière très précise et il est extrêmement sympathique. Je recommande vivement cet hôte! O apartamento é fantástico! 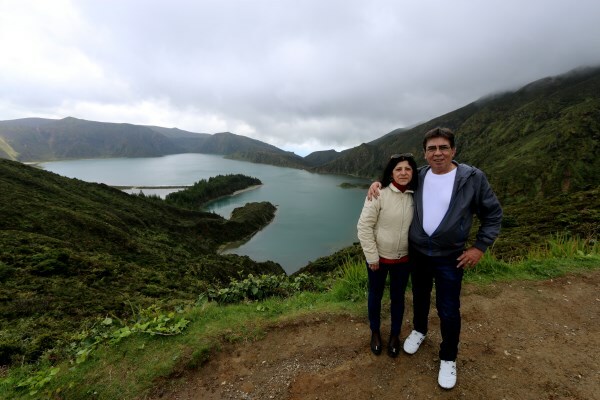 Fomos muito bem recebidos pela esposa do Sr. Eleuterio, que foi muito atenciosa e ainda nos deu algumas dicas dos sítios a não perder na maravilhosa ilha de São Miguel. Quando voltarmos já sabemos quem devemos contactar! My husband and I stayed in the top floor apartment for six days in April where the landlord, Eleuterio owns several properties. First, he picked us up at the airport! The apartment was great, with a private patio off of the kitchen in the back, and a front balcony with views of the sea and mountains over the rooftops. The apartment was incredibly clean and provided all our basic needs, the bed quite comfortable. It is on a main shopping street in the city with supermarkets, an outdoor market, restaurants and cafes minutes away by foot. We rented a car and parked it at a nearby parking garage at a very reasonable price. Our vacation was wonderful and I can't wait to go back. Thank you Eleuterio! Fiquei alojada no apartamento da Rua do Castilho, num T0. Gostei do apartamento por ser muito perto do centro e com uma vista para o jardim Antero de Quental. Limpo e equipado com o necessário para umas férias, parque de estacionamento gratuito nas traseiras do apartamento. Recomendo a todos as pessoas que queiram visitar São Miguel. Obrigado Sr. Eleutério. Glad we chose this apartment to stay during our time in beautiful Sao Miguel! The apartment was clean and had everything one could need including a washer/dryer which proved useful. It was in a very convenient location with food and coffee right next door, as well as an ATM, supermarket, and various shops/restaurants closeby. Parking was easy to find with sufficient street parking availability. Eleuterio picked us up from the airport (for a small fee) and took us on a brief tour of the area around the apartment with food recommendations which was helpful. He also arranged a car rental for us at a great price. We hope to return to this beautiful island and would stay at this apartment again! Fomos recebidos pelo Sr. Eleutério que foi muito atencioso. Apresentou-nos a casa e mostrou-se disponível para ajudar no que fosse necessário durante a nossa estadia. O apartamento é muito confortável, perto de estacionamento gratuito e muito central permitindo ir ao supermercado e a restaurantes a pé. Aconselho. Adorei a estadia. O Eleuterio foi muito amável e acolhedor; nos disponibilizou informações e a sua ajuda, se for preciso. O apartamento é muito central e está completamente equipado, limpo e em ótimo estado. Gostamos! Una experiencia fantástica. El piso es perfecto y cómodo, y Eleuterio esta atento para todo lo que haga falta. Mi familia se fue muy contenta. Eleuterio was very helpful on arrival and offered some good advice. The apartment was a perfect base for us. We would explore the island by day and then in the evenings the apartment was ideally located for a stroll into town for a drink and a meal. Everything we needed was supplied and with a supermarket just on the corner across the road it was ideal. No complaints. Eleutério is a very nice host and was very punctual on picking us at the airport. He showed us the central part of the city and explained what we could visit and recommended restaurants. The house is perfect! It's really well located, near supermarket, restaurants, shops, etc. It's right in the heart of the city and has everything you need for your holidays. Despite being in the city center, it's quiet and calm. The host provided us sheets, towels and even a map. We couldn't be more happy with our stay. We will return of course. Thank you very much! Great apartment in a very central location. I would not hesitate to stay here again. You will be pleased with this quiet apartment. Eleuterio was a pleasure to deal with and work with. He was exceptionally helpful and helped to make for a great stay. He picked us up from the airport for a small fee which was very worth it. He gave us some great local information and tips. The neighbourhood seemed like a very safe place to be and was very central to the downtown and waterfront. Comfortable bed, and our kids were happy there as well. Eleuterio was quick to communicate during our stay. Desde o primeiro momento em que nos esperava no aeroporto, o Eleuterio sempre foi muito prestável e atencioso. O apartamento é tal como apresentado, com grandes janelas que dão para um belo parque no centro de Ponta Delgada. Os vidros são espelhados o que confere uma grande privacidade durante o dia. A cama/colchão é excelente. O estacionamento é muito fácil e o apartamento encontra-se numa excelente localização apenas 3 minutos a pé da baixa e da marginal de P. Delgada e com acesso privilegiado à Via Rápida para ir conhecer o resto da ilha. 5 estrelas. Obrigado Eleutério. Very beautiful, clean apartment, with everything, that you'll need for stay.Beds are very comfortable, bed linen clean. Apartment is very well located. Owner is very helpfull and very nice person. Thank you Eleuterio for nice stay. Eleuterio was amazing. Really nice and approachable person. Do not hesitate to ask him for help as he'll be happily keen on helping you out. He came to pick us up at the airport and gave us valuable information. On the next day he helped us to get a car so we could move freely trough the island. The house was comfortable, clean and it had all the basics as well as some extra towels for the thermal waters. Amazing location, nice house and perfect host. Localização perfeita! O apartamento está muito bem equipado, até com electrodomésticos e outros elementos que não estavam descritos no site. Foi ainda muito atencioso o stock extra de toalhas cor de laranja, para podermos levar às furnas. The apartment is a very cute and modern shelter in a great position! 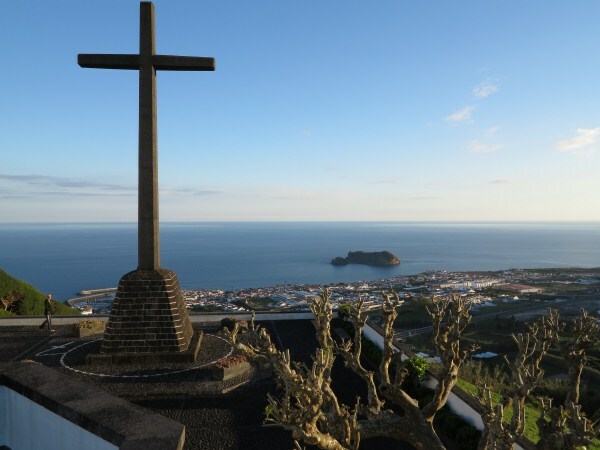 I really suggest it because is in a strategic point very close to the center of Ponta Delgada, it has a very relaxing view and at the same time there is a very confortable car park just behind the apartment. The apartment has every confort you might want to and Eleuterio is a very kind and avaliable person. Host did airport pickup and city tour - great guy. English is super! The apartment is the best!! Quiet neighbors and neighborhood. Secure building. Easy walkable distance to PDL downtown where you will find shopping, supermarkets and coffee shops galore. Easy access by car from highway. Lots of free parking around the corner in large public lot or paid parking outside apartment. 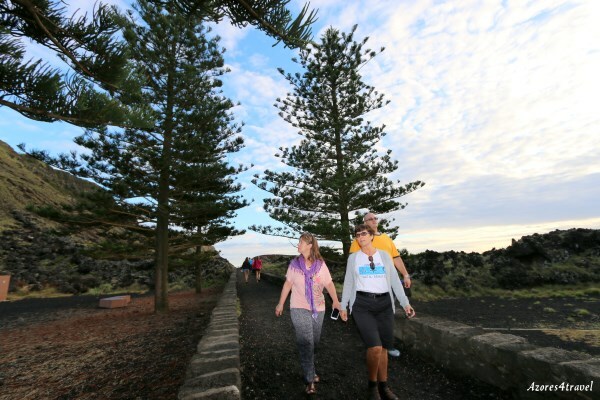 Ideal access for city wandering and island exploring. Apartment has heat!! I never thought that would be so important but it is in the winter! Fully equipped kitchen complete with washer. We were there almost two weeks; apartment got cleaned halfway thru with new linens, etc. Loved the island - will definitely be coming back (hopefully in the summer). Cheers!!! This is the place to stay in Ponta Delgada; I don't think it's possible to find better. The apartment is top notch and Eleuterio is incredible. The pictures don't do the size of the apartment justice. There is a ton of space and the bedroom is a great size. The balconies are both wonderful and the front one provides a great view of the city, the ocean, and the mountains. The apartment is very safe, has an elevator, and is in a great location. Eleuterio is the best host. He gave us a great little tour of the city when we arrived. He helped us with directions, things to do, and helped us get a rental car for our day. The only downside we had was that our flight arrived very early and we weren't able to check into the apartment for about 6 hours. However Eleuterio took our luggage for us and let us know as soon as we were able to check in. And given that this is Airbnb, it's completely understandable that we were not able to check in sooner. Overall you won't find a better value or host. You should stay in this apartment. Great apartment, in the center of the town. The apartment has everything it needs. Towels and sheets were very clean and smelled very well. 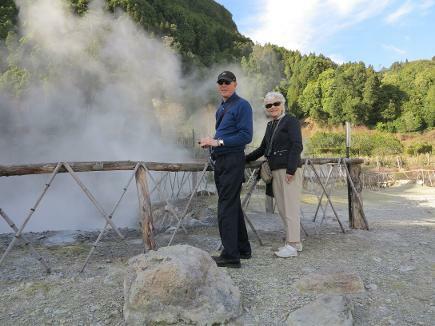 A nice plus - we got a lot of extra towels - to go to the thermal baths. Eleuterio answered 10 minutes after I booked, very friendly. I highly recommend. Wir wurden persönlich vom Gastgeber empfangen und mit dem Apartment vertraut gemacht. Es gab ein Ehebett und ein Schlafsofa welche beide recht komfortabel waren. Die Küche ist vollausgestattet und alles ist sauber gewesen. Die Lage ist sehr zentral aber trotzdem ruhig. In der Nähe befinden sich mehrere Restaurants, Bars und ein Supermarkt. Insgesamt sehr weiterzuempfehlen! The apartment its like a hotel room with kitchen, small but with all that you need, the location is great, just in the center of Ponta Delgada, near of a free public parking, very clean, and Eleuterio was very polite, he gave us a lot of information of the island, where tho eat, places to visit. Its very recommendable. Apartment is great and clean. Very good location and very well equipped. Recommended! We stayed here and it was absolutely perfect. This place is a home away from home.It has everything you need The apartment is very clean and modern with comfortable furnishings. 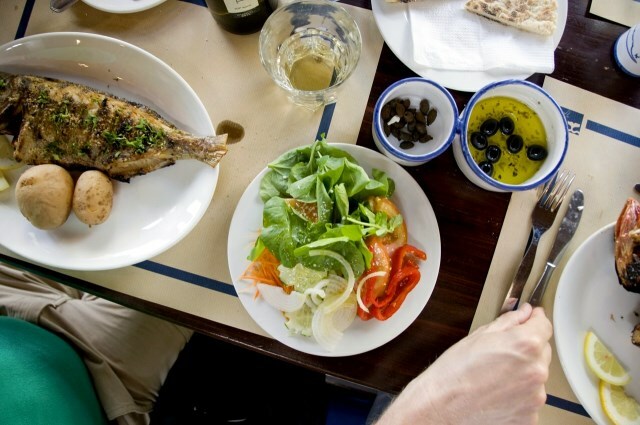 It is centrally located with in walking distance of Portas do Mar, Campo San Francisco, great restaurants,and stores. The owners, Eleuterio and Maria Joao, are very friendly, helpful and knowledgeable. I would highly recommend staying here. 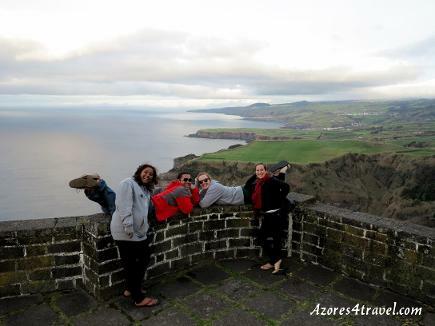 I would also highly recommend signing up for sightseeing tours with them (azores4travel.com). The tours were phenomenal. Can't say enough about this choice! Great 1-bedroom apartments in the center of town. Kitchen, living room 32" flat screen TV, washer/dryer. Free wi-fi. Building has an elevator. Very safe location. Also, the owner Eleutherio offers EXCELLENT day tours around the island in a nice van, PLUS he includes transfer from/to the airport. PRIME CHOICE for accommodations! 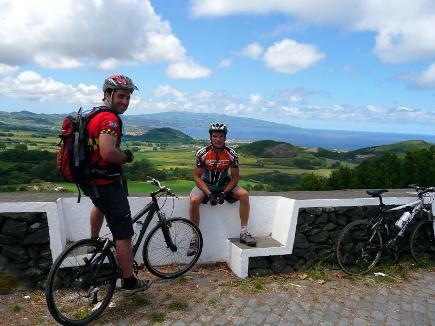 Enjoy beautiful Sao Miguel! O Sr Eleuterio foi 5 estrelas... esteve no aeroporto à nossa espera para nos buscar e fez-nos um briefing fantástico das zonas a visitar dando-nos logo um mapa e livro de turismo de São Miguel. Quando chegamos não tinhamos sequer ainda alugado carro e o Sr Eleuterio em aconselhou-nos e conseguiu com um telefonema resolver o nosso problema. Relativamente ao apartamento que era muito bom com tudo o que necessitavámos, foi muito objectivo e simpático ao explicar o seu funcionamento e da zona em geral. Great central location that was easy to find during the day, and especially at night after visiting many of Ponta Delgada's sites and hot spots; which are all very close by! Very clean apartment, with enough space for the three people we had traveling to enjoy. Elevator was a pleasant surprise, and much appreciated when coming and going with our baggage. Check in and out was very simple, quick and efficient. Very Nice Place! Gostamos muito da nossa experiência, foi a primeira vez que ficamos neste sistema do airbnb. O Eleuterio é muito simpático e para além do tarde da hora a que chegamos, foi-nos buscar ao aeroporto e deu connosco logo uma pequena visita guiada pela cidade, também respondia rapidamente e cordialmente às perguntas e dúvidas que lhe íamos pondo em relação à nossa visita pela ilha, foi muito prestável. A casa é muito central, limpa e acolhedora, éramos 4 pessoas e sentimo-nos muito confortáveis. Siamo stati in uno degli appartamenti di Eleuterio. L' appartamento è molto carino, ben attrezzato di tutto il necessario ma soprattutto in centro al paese. Lui è stato davvero gentile e disponibile, ci ha fornito tutte le informazioni su dove andare e pronto per qualsiasi nostra necessità. Ci è anche venuto a prendere e ci ha portato in aeroporto. Consiglio vivamente!!! This is a fantastic location an the top floor apt is great because of the outdoor space. The front balcony you can see the sea an the ships approaching the harbour. Lovely kitchen an apartment with lots of space for a couple or small family. Handy that it includes a washing machine. It is very clean an includes a weekly cleaner. The owners are nice an will pick up an drop you off, also the tours provided by the owner are according to our friends excellent. I would not hesitate renting again here. What a fantastic host and a fantastic apartment that also has a private garage parking, is apartment had everything that a woman needs, kitchen was fully equipped, including coffee maker, iron, washing machine that dries. The place is so cozy I did not want to leave it. Big bathroom with q tub included, blow dryer, spa towels if you want to go to the thermal baths. It is located a stepping stone from the city centre. The windows are new and keep the place very quiet. We will come back. At the end of our stay I was very sick and the owner allowed us to stay while they were cleaning the apt and even went to th drug store with my husband to get some medicine. He helped with the luggage and did everything to make us comfortable. One of the sweetest person we ever met. I will refer all my friends there. We are coming back and will be using is services to take us to fernus on our return in a few days, Thank you for your kindness and understanding . You made us feel welcome. I loved my stay at both places! The Garden apartment is just perfect for a quite holiday across from a magnificent garden, local Library and supermarket. I had a wonderful time and I highly recommend this lovely apartment to anyone. 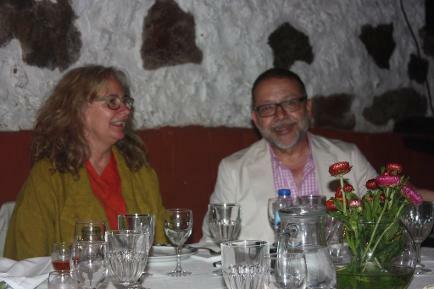 Mr. Eleuterio and Maria Joao are great hosts. 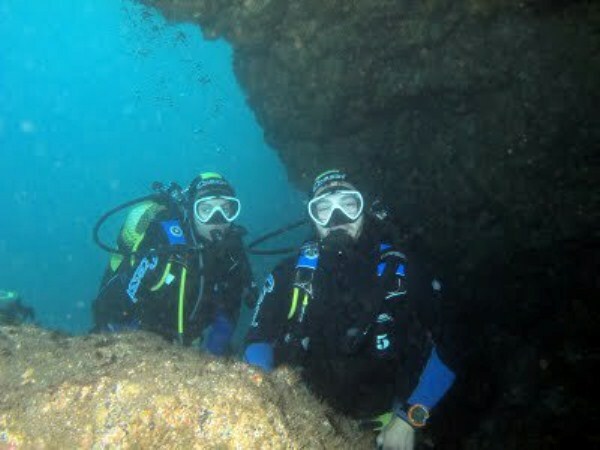 Thank you both very much for making my stay in S. Miguel very confortable! Everything was great. Our host picked us up at the airport and showed us where to park our rental car. There is a big parking area just around the corner. The apartment is just great. Is is very clean, very comfortable and the location is just perfect. We had a great week and felt like home in the apartment. Thanks to Eleuterio for the perfect host. Once Ryanair announced a new direct route to these previously difficult/expensive to get to islands we had to go. The apartment was fully equipped and in a perfect location. It's 2 balconies offered sun or shade at all times of the day. The owner, Eleuterio,met us at the airport and ensured we got our bearings before taking us to the apartment. He proved an amazing host and we spent 2 full days with him covering a lot of the Island and seeing the great sights on offer. 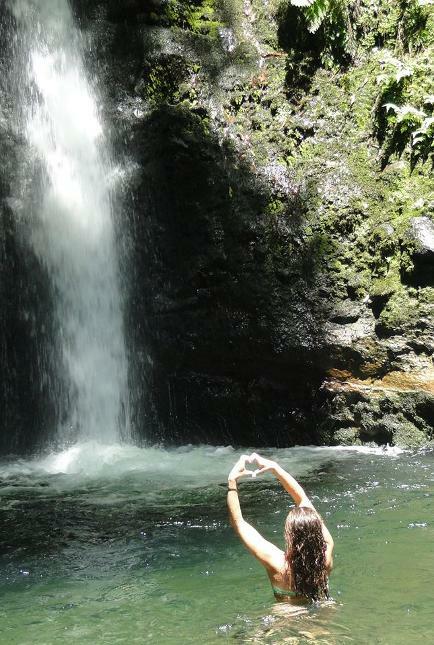 I don't believe we would have found many of the places without his experience and obvious love of his islands. 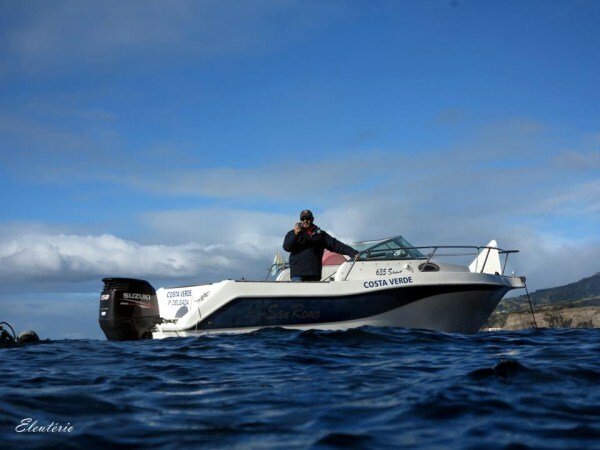 We also went out whale watching and he even got us discount on that! All in all,an amazing destination,at times it was hard to believe we were still in Europe. Go! O apartamento é muito bem localizado, moderno, confortável e dispõe de todo o equipamento necessário para a estadia. O sr. Eleutério foi um excelente anfitrião! Deu-nos boleia desde o aeroporto, e mostrou-nos os principais locais de Ponta Delgada perto do apartamento. Recomendo a estadia neste apartamento! A pequena visita guiada aos locais próximos do apartamento foi óptima, e permitiu que no dia seguinte de manhã já estivéssemos bem orientadas sobre a localização dos vários pontos. Muito obrigada pela simpatia! Pros: minutes to buses all over the island for hikes, restaurants on your doorstep or a short walk, well-equipped apartment that has everything you need and is clean and comfortable. 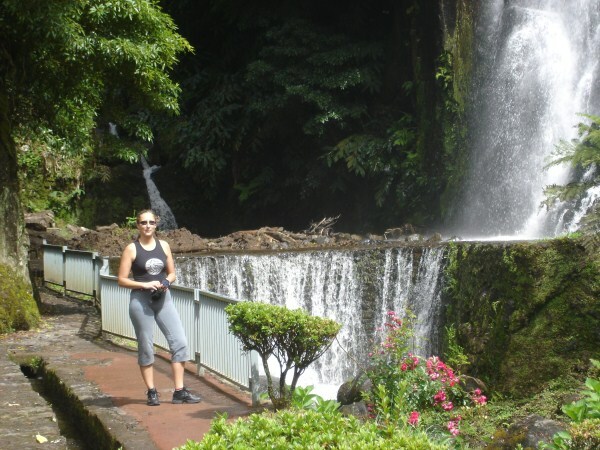 Very helpful host can even provide excellent full and half day tours. Great value overall. Cons: none that we could find Conclusion: stay here! I have nothing but good things to say about Eleuterio and the Garden Apartment. The apartment was very clean, in an excellent location and Eleuterio provided a crib more my little one. It is a 5-7min walk from the large shopping mall, the main strip by the boat docks, it has a large Chinese store near by that has anything that you may have forgotten at home, grocery store and coffee shops. Excellent location! I would highly recommend the apartment to anyone who is staying in Ponta Delgada. We will definitely book with Eleuterio the next time we are in Ponta Delgada. Thank you for everything Eleuterio, you were great! Localização, disponibilidade,limpeza, tudo o que é necessário. Fomos muito bem recebidos pelo locatário, que fez questão de nos ir buscar ao aeroporto e dar algumas indicações sobre esta ilha maravilhosa. Adoramos! Tudo impecável, desde a localização, ao conforto e limpeza. Casa equipada com o necessário para as férias. Uma palavra final para o Eleutério (proprietário), foi de uma simpatia e de uma amabilidade extraordinária.... um grande abraço. A estadia foi muito agradável, Eleutério é muito atencioso e prestativo, o apartamento muito bem localizado, é muito bem equipado e seguro, limpeza nota dez, cama muito comfortavel, próximo ao centro, vista bonita para jardim, estacionamento gratuito, enfim, um maravilhoso lugar. Assim que puder voltarei.. This was a wonderful place to stay in ponta delgada. Eleuterio was so friendly and helpful and gave us a wonderful start to the trip by meeting us at the airport and showing us where to park our car in the city and then bringing us to to appartment. The place was very spacious and clean, with all amenities you could need. It was a very central location with lots of balcony space for relaxing between activities. We would definitely stay here again! Loved the location and amount of balcony space Nothing to improve, everything was great! Fiquei alojada no apartamento da rua do Castilho. Gostei por ser muito perto do centro e com uma vista para o jardim Antero de Quental. Limpo e equipado com o necessário para umas férias, parque de estacionamento, não pago muito próximo. Agradeço também ao Sr. Eleutério a amável recepção com visita guiada pela cidade. Eu e o meu marido gostamos muito de S. Miguel e de certeza que vamos voltar. We had an amazing time on the island of Sao Miguel and the big part of our vacation being a blast was staying at this apartment. It was spotless clean and equipped with everything one can need on vacations (cooking ware, extra blankets, iron board, hair dryer etc). Location is perfect as well. Apartment is situated right on the main street - less than a minute walk to the supermarket, pharmacy and coffee shops. Market with fresh produce, marina and the main attractions are mere 10 minute walk. Last, but not least, Eleuterio and his wife are terrific people. They helped us with transfers from and to the airport, were very accommodating with check-in and check out times and made us feel very welcome. 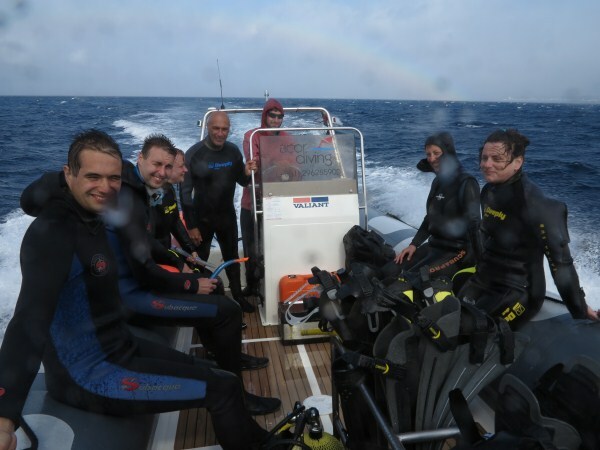 I would definitely stay there again as well as I would recommend it to anyone planning on going to the magnificent Azores. Small but perfectly formed apartment 10 minutes walk from the centre of Ponta Delgada. Great value for money. Everything we (2 people) needed for 3 night stay. Really clean, lovely view of the little park it overlooks whilst lying in comfortable bed, good shower and cooking facilities if you don't feel like going out. Supermarket close by. Hired a car for a day and parked for free just behind apartment. Loved our short trip; happened to be there for the biggest festival on the island, hundreds of people walking through flowers laid on the streets carrying statue of Christ - saw fin whales and on a particularly rainy second day went to the Terra Nostra gardens in Fumas and spent the most heavenly 2 hours floating in a mustard coloured pool of warm water fed from hot springs surrounded by beautiful trees and sub-tropical vegetation. Hope to be back soon! As said on other reviews Eleuterio picked us up from the airport (new direct Ryan Air flight from Stansted) and took us to get some basic food supplies as flight gets in quite late which was so helpful. Apartment was close to center and very comfortable. Large bathroom, extra towels and clothes washer were appreciated. Eleuterio did airport delivery and 2 day tours around island. He is a very kind, conscientious native who is very proud of his homeland and goes out of his way to do all he can to have his guests appreciate the beauty and many activities the island has to offer. We loved our time there - very peaceful, green, and very, very beautiful. Thank you! O Eleutério foi um anfitrião disponível e atencioso. Forneceu nós o mapa e o guia da ilha que nos ajudou imenso! Obrigada! My girlfriend and I had an excellent experience staying at Eleuterio's apartment. He picked us up from the airport right on time when we arrived in Ponta Delgada and gave us a nice brief tour of the area on the way to the apartment. We opted in for a half day tour he provided for us in the afternoon and it was well worth the cost. The tour nicely acquainted us to the island and provided us with our bearings for our next few days. The place itself was nice and clean in a great area of town. Overall great stay! Eleuterio was a fantastic host! He arrived at the airport at 7am to pick me up and provided a quick tour of Ponta Delgada. Saved me the cost of a taxi and got my trip off to a great start. The studio was stunning - modern amenities, view of the park, and just a couple of blocks from the center of town. I had a fantastic time in Ponta Delgada and would highly recommend this location for a comfortable stay in a wonderful city! We had a great stay at Eleutario's apartment. It was in a great location close to everything downtown.The apartment was a good value for the price. We were happy to be picked up at the airport . Fomos recebidos no aeroporto por uma pessoa de confiança do anfitrião (a dona Preciosa), infelizmente não o conhecemos pessoalmente, mas deixo-nos um papel com as boas vindas e informações úteis. A dona Preciosa foi 5 estrelas, muito disponível e extremamente simpática. A dona Preciosa levou-nos do aeroporto ao apartamento, onde deixamos as malas e saímos novamente porque estava um senhora a realizar a limpezas (foi logo pela manhã) e depois levou-nos a ver a cidade (de carro) e por último a um Rent-a-Car (AutoAtlantis) onde fizemos a reserva de um carro para os dias seguintes, com boas condições contratuais. "Eu e o meu namorado gostamos imenso da estadia neste apartamento. O apartamento supera as expectativas do que se pode visualizar nas fotos. É extremamente bem localizado, tem muita luz, vista desafogada para a rua, muito limpo e completo. Utilizamos as bicicletas, são boas e temos uma mochila com utensílios necessários dedicados à bicicletas: bomba de ar, cambra de ar, chaves, etc. O apartamento está perto de tudo, a poucos metros a pé do centro. E suma, a experiência correu muito bem. " I was greeted at the airport by my host Eleuterio after arriving very early. What a fantastic thing to do for a guest, to pick them up, and to show them the apartment and show how everything works. A wonderful place to stay, and I was able to utilize the kitchen and laundry to keep my costs at a minimum. Everything is as shown and the flat is central to the historic city and some great restaurants. I cannot say enough good things about the place or the host. This is a great place for 2 people. The flat had everything available that a person could need to make their stay a fantastic one. 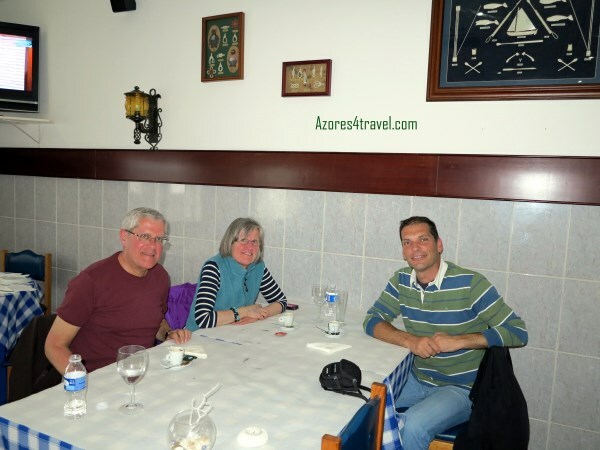 Thanks to Eleuterio we enjoyed our stay on Sao Miguel as much as we wanted. He picked us up from the airport and explained in detail the best way to explore the island. At his apartment we found everything we needed to feel like almost at home. Among other facilities, we particularly liked TV as we could connect it to the mobile phone (Smart TV) and admire pictures we had taken. Eleuterio gave us also the possibility to use his two bikes. It allowed us to see places which otherwise would be difficult to reach. Eleuterio greeted us at the airport which was so helpful. This was our first visit to Ponta Delgada and he gave us plenty of good information and advice. The neighbourhood was excellent,we had no concerns about our safety. The apartment was perfect,excellent location,walking distance to everything.Eleuterio picked us up from the airport and orientated us to the core of Ponta Delgada. A beautiful view out our balcony windows made it even better. Excellent value,excellent service. We would definitely stay here again. We would not change anything. Wir waren von Ende Dezember bis Mitte Januar auf Sao Miguel und buchten im Vorraus, über Airbnb, unsere Unterkunft Wazores. Unser Vermieter nahm sofort über das Protal Kontakt zu uns auf und informierte sich über uns und unsere Reisepläne. Am Flughafen wurden wir freundich empfangen und wurden bis ins Stadtzentrum, wo auch unsere Unterkunft war, gefahren (ebenso wurden wir nach unserem Urlaub wieder zum Flughafen gefahren). Während die Wohnung noch professionell gereinigt wurde, zeigte unser Vermieter uns Ponta Delgada und gab uns Insidertipps über die Stadt und die Insel. Da die Wohnung sehr schön und modern eingerichtet war, fühlten wir uns schnell heimisch und konnten uns gut selbst versorgen, da alles für den täglichen Gebrauch vorhanden war. Fehlte doch etwas, konnten wir den nahegelegenen Supermarkt aufsuchen! Bei Fragen oder Problemen, konnten wir uns jederzeit an den Vermieter wenden. Einfach super! 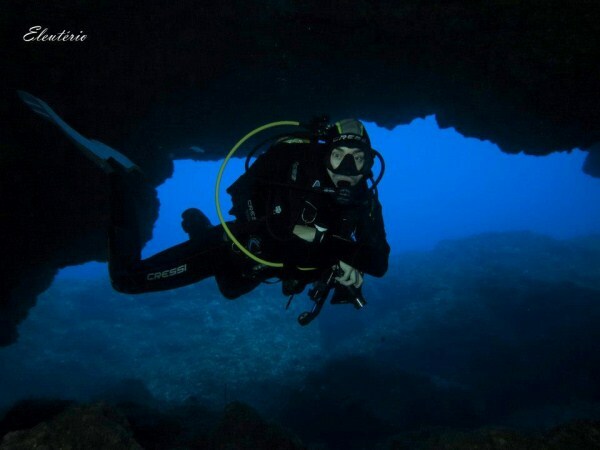 Alles in allem war es ein super Aufenthalt auf Sao Miguel im Wazores! Der Vermieter bietet verschiedene Unterkünfte, alle zu empfehlen! óptima recepção ao cliente. Para além das grandes condições do alojamento. A sua localização é privilegiada, em zona central, rapidamente chegamos a todos os restaurantes, bares, museus, jardins e centros comercias. Contrastando com o silêncio do espaço. Para alem de tudo dispõe de um supermercado a 1 minuto e duas pastelarias muito próximas. Todos os apartamentos dispõem de boas condições. Eleuterio was great. He picked us up at the airport, on time, and gave us a quick tour and layout of Ponta Delgada. Couldn't ask for more. His flat was perfect for two. Amazing location!!! Close to everything you could possibly want to see or do. 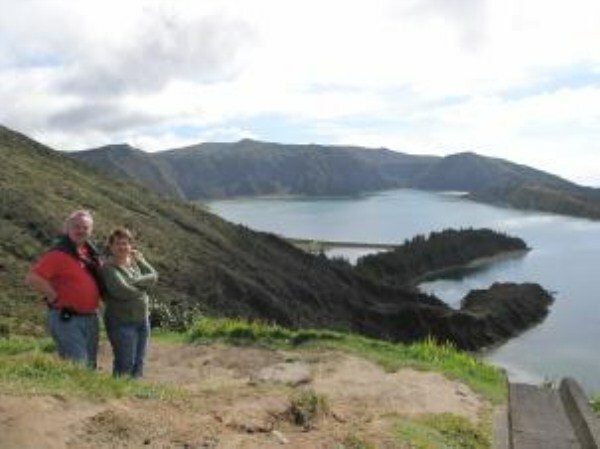 We decided to stay there the entire trip, and plan our day trips around Sao Miguel. Great decision since everything was an easy drive away. The flat is not only close to downtown but also close to a lot of conveniences like 24hour gas station/minimart, hypermercado (super big market), Parque Atlantico (mall), lovely inner city park, traditional cemetery, major roadways, and ample parking. One of the best AirBnB's we've stayed in thus far. Very clean & Modern. Wifi worked well and consistently. My only problem was trying to work the laundry on my last day which is very different from the US standard -I'm assuming most EU citizens won't have a problem. If you plan to use it, it maybe useful to have Eleuterio show you first. My own fault of course. Great Price!!! You won't find anything better for the location, convenience, and privacy. We had to stay in a hostel our last night because the place was pre-booked. For the same price, we got a lot less and made us really miss our little slice of home. Highly Recommended. You won't regret it. I have stayed twice at this property this past year, once with my adult son in June and again in Nov with a friend. Obviously, I was extremely happy with my first stay and therefore booked a second time in Nov. The apt is super clean, well appointed with whatever one might need, and everything there is of very high quality from the towels (plenty of them too) to the appliances, cutlery, dinner ware as well as the large LCD tv. The drip coffee maker was great to have on hand so we could make coffee other than expresso, although we made some of that in the expresso machine provided too. It was a real treat to have a table and chairs available on both terraces where we could sit, eat, drink and relax. We spent almost more time out on these terraces than we did inside, they were that nice. You cannot ask for a better location either, its right on the main shopping strip in Ponta Delgada, with literally anything and any place within the city within about a 15min walk. The lovely harbour area was only a few minutes away along with tons of shops, cafes and eateries. During our stay, a taxi was never needed or required. With a supermarket only footsteps from the apt, groceries and much more were readily available. A very nice amenity is the private elevator that services the 3 floor building (clean and modern). Our host Eleuterio was gracious, always available and made certain that we lacked for nothing during our stay. To be honest, because the apt was so well appointed, we never had to bother him for anything. This apt was a pleasure to stay in and was as professionally operated as any finer hotel/motel might be. 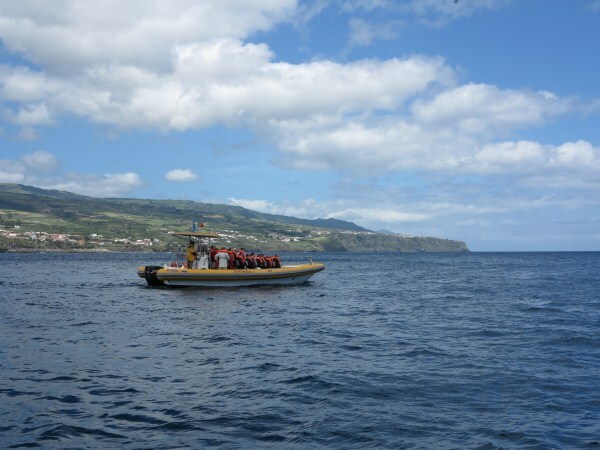 While I'm sharing these thoughts with you, I can assure you that this is likely the best location you could ask for in Ponta Delgada if you're planning on really getting to know the city intimately. As far as value goes, this is great value and top quality for your lodging dollar bar none. Eleuterio's place is very centrally located and super convenient for getting around Ponta Delgada. It was definitely quite comfortable and suited my needs perfectly. Recommended. Clean, functional, and centrally located apartment. Absolutely perfect for 1-2 people. Eleuterio is a terrific host. Picks you up from the airport, gives you a tour of the area, and is available for contact at a moments notice. Perfect overall experience and just another reason why I will never book a hotel again. Eleuterio was a great host! He really took care of our stay by providing an airport transfer, city map and some insider tricks for the town. 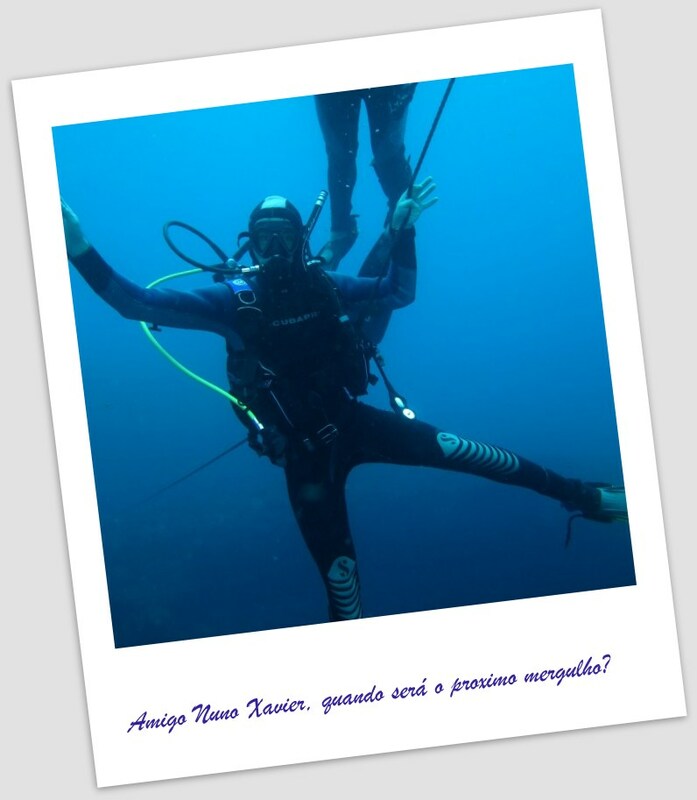 We had everything done by him in order to make our holidays on Azores special: peaceful, personal and well organized. Thank you so much! Experiência muito positiva! A recepção foi muito atenciosa e o apartamento tem óptimas condições. A localização é fantástica e tem todo o equipamento. A limpeza do apartamento também é impecável. Pode-se estacionar o carro próximo e de forma gratuita. A vista para o jardim é muito agradável. Quando em Outubro deste ano eu mais a minha esposa fomos passar 4 semanas a S.Miguel escolhemos ficar em um dos apartamentos da Wazores Central Apartments (www.wazores.com) que e propriedade de Eleuterio Valido e sua família. Quero vos dizer que foi uma optima escolha.O Eleuterio foi nos buscar ao Aeroporto numa confortável carrinha e tomou de imediato o controle das malas e quando chegamos ao Apartamento as transportou ele próprio para dentro.Pessoa de uma amabilidade e disposição incalculável que por vezes custa a encontrar.Apartamento muito confortável e com ar condicionado pois que ainda tivemos uns dias sumidos e o A/C a trabalhar so por uns minutos poe o apartamento muito confortável. As primeiras 3 semanas ficamos no apartamento que e localizado na Rua do Castilho em frente ao Jardim do Colégio. Na ultima semana tive que mudar para um outro dos seus apartamentos localizado na Rua Machado dos Santos porque havia ja reservas para o outo que estivemos.O Eleuterio novamente fez a mudança de tudo sem eu ter que tocar em nada.Neste apartamento tambem muito bem equipado,com A/C ,Elevador e bem localizado.Quando foi dia de partida Eleuterio novamente me levou ao Aeroporto tomando conta das malas.Dou uma grande recomendação em usarem estes apartamentos. Desde a atenção, simpatia, disponibilidade à casa em si que está muito bem equipada, acolhedora, bem mobilada e num lugar excelente perto de tudo, melhor era impossível! Fiquei com pena de ter de deixar a ilha mas a casa também vai deixar saudades fez parte de uma viagem de sonho e foi bastante importante para que a viagem tivesse sido tão perfeita! Parabéns ao proprietário por se preocupar em ter um alojamento tão bem preparado e acolhedor para os seus clientes. Eleuterio was a great host and the apartment was perfect. We were able to walk to everything in Ponta Delgada and found parking nearby for our rental car. Eleuterio was waiting for us at the airport when we arrived and took us on a short drive to show us the location of the apartment including nearby restaurants and stores. There is a grocery store next door which is very convenient. Next time we come back we will have to do a tour with Eleuterio! Our visit was too short to fit it in this time. Thanks! Eleuterio was an excellent host. I was grateful for a simple tour of the city to get my bearings. The apartment is in a great location at the centre of the city. It was clean, safe, and well appointed. 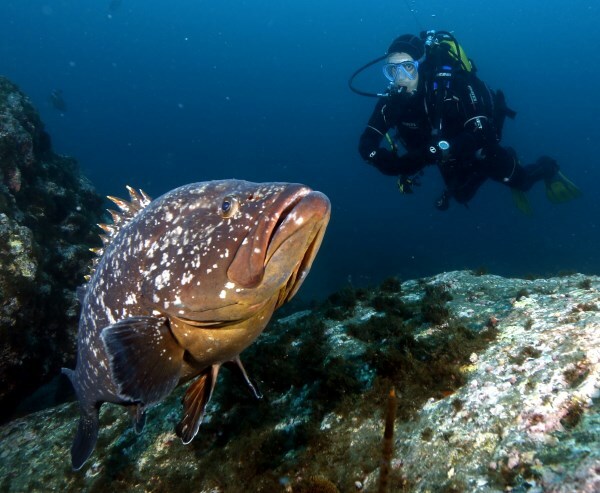 When I return to Azores I will stay with Eleuterio again! 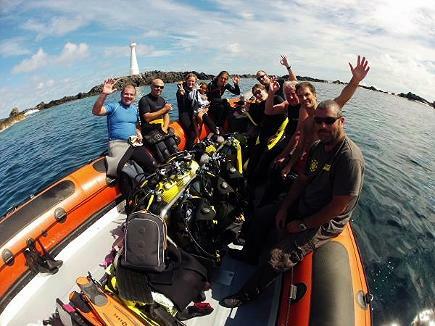 Wir waren vom 15.10.-29.10.2014 in Ponta Delgada. Die Abholung vom Flughafen durch unseren perfekt Englisch sprechenden Vermieter Eleutério war kostenlos, ebenso wie eine kleine Stadtrundfahrt. Das Appartement liegt im dritten Stock, ein Lift ist vorhanden. Vom Balkon hat man einen prächtigen Ausblick auf die Altstadt und den Atlantik. Das Appartement ist vorbildlich ausgestattet mit allem was das Herz begehrt, jede Menge Handtücher, sogar ein Vorrat an Toilettenpapier hat nicht gefehlt. Die Einrichtung, Ausstattung und die Elektrogeräte sind neuwertig, die Küche komplett eingerichtet. Hilfreich hat sich auch die (kostenfreie) Klimaanlage erwiesen. Der Vermieter hat gegenüber dem Appartement einen Laden und steht jederzeit mit Rat und Tat zur Verfügung, einen Sonnenschirm hat er auf unseren Wunsch sofort besorgt. Im Mietpreis inbegriffen ist eine komplette Reinigung inklusive Wäschewechsel nach einer Woche. Zusätzlich ist anzumerken, dass der Vermieter von ihm immer persönlich begleitete Inseltouren zu sehr fairen Preisen durchführt, die uns an Punkte gebracht haben, die von den großen Veranstaltern nicht angefahren werden. Die Wohnung ist in jedem Fall ohne jede Einschränkung weiter zu empfehlen, wir werden wieder kommen. We had a great time at the wonderful, comfortable, cute and very clean appartement of Eleuterio. He was so nice to pick us up from the airport and offered us a lot of information about the island and what to do there. The appartement is perfectly located and very well equipped. We really enjoyed our stay and it was a pleasure to meet you! Thank you very much! We booked this apartment based on the central location. We hadn't booked a car for the first few days of our stay, so it was important to us to have an apartment that was easily within walking distance of restaurants/cafes, supermarkets and sights. This apartment fulfilled this requirement perfectly. The owner, Eleuterio picked us up at the airport and gave us a brief tour of the city on the way to the apartment and pointed out where supermarkets, etc. were. We booked the T1 plus and enjoyed sitting out on the balcony overlooking the street and ocean. The apartment was plenty spacious for two of us. Would have been fine for more as well. We hired Eleuterio for two days of tours around the island as well. He spent a great deal of times with us showing us many sights. It had to have been a long day for him, however, he was always full of energy. We got to know a great deal about the island while travelling around with him. 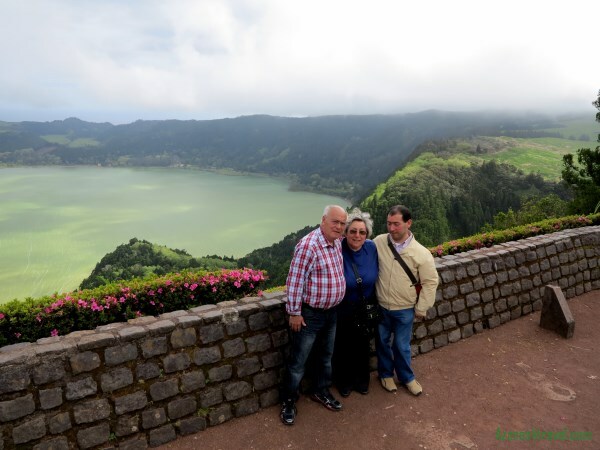 As an added bonus, he brought his mountain bikes with him and we were able to travel around Sete Cidades and Lagoa das Furnas. The apartment provides a great and affordable alternative to a hotel if you like to have a little more space & kitchen facilities. Eleuterio's service is what made the trip. 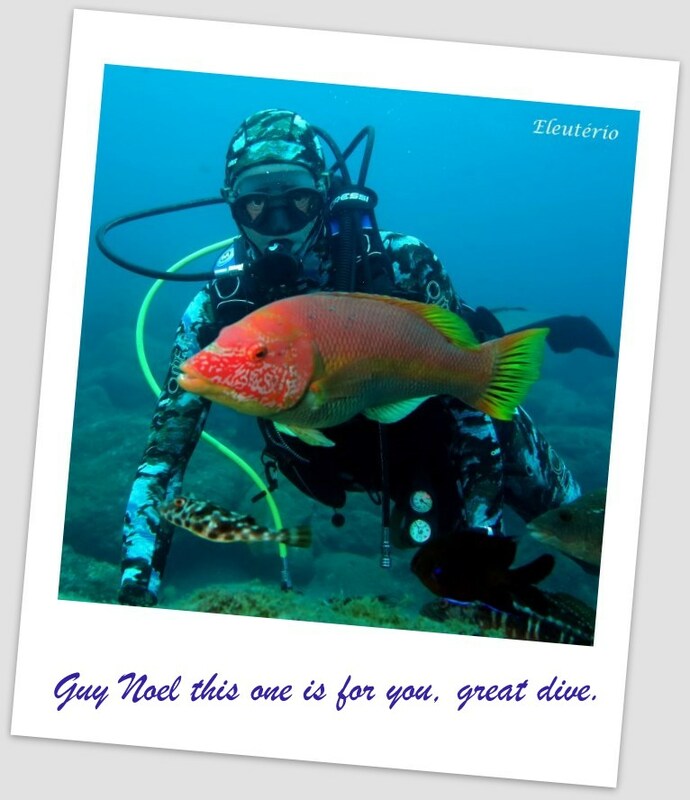 If you do book, be sure to contact him and he can help you arrange your holiday as well. I found this to be quite helpful, since their still isn't a great deal of information available re: Sao Miguel tourism online. A recepção pelo Eleutério foi impecável! Estava a nossa espera quando chegamos ao apartamento. Muito simpático e acolhedor. Deu-nos todas as indicações necessárias e aconselhou-nos a fazer as visitas consoante o tempo. O apartamento é muito central, está muito bem localizado! Podemos estacionar e conhecer o resto da cidade a pé. Tem todas as comodidades necessárias e limpeza. Recomendo este lugar a qualquer pessoa que queira conhecer Ponta Delgada e partir daqui para visitar o resto da Ilha. Dear Eleutério. Thanks again for this very nice apartment. 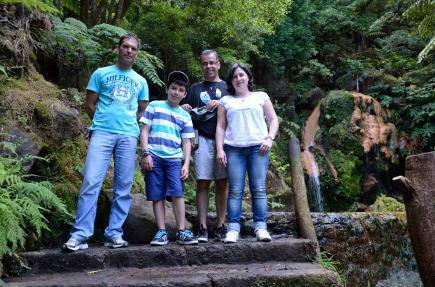 We had a great stay and have seen so many beautiful places of São Miguel island. 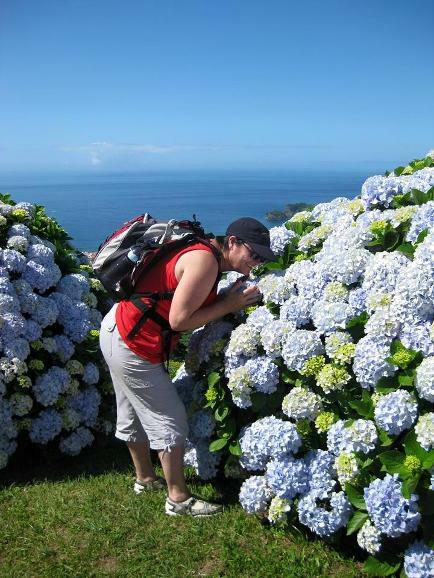 We'll definitely recommend your apartment to everyone we know wants to visit the Azores. With best Wishes. The apartment was perfect, and so centrally located and clean. A walk from the apartment to the City centre (City Gates) was about 5 minutes. Eleuterio picked me up with the airport with maps and guidebook in hand, and on the drive to the apartment he asked me what I was looking at doing and before I know it he had set up tours for me. He along with his wife were very gracious hosts who went out of their way to make me feel at home. I also did one tour with Eleuterio, which if offered I would highly recommend. 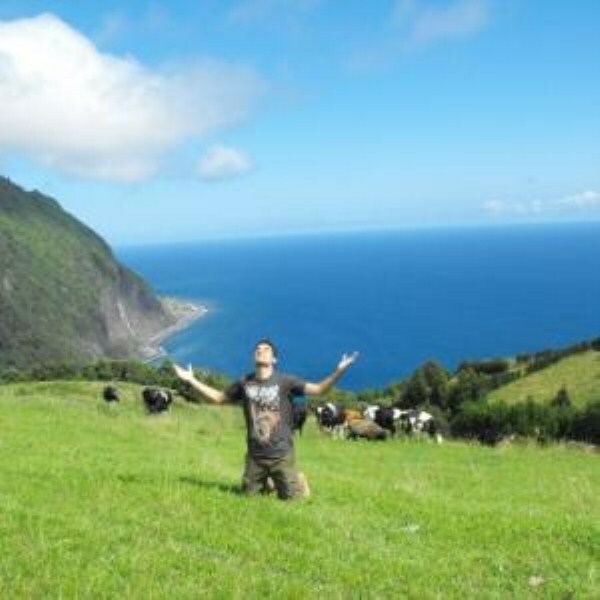 You can see that he truly loves the island of Sao Miguel.... and this experience has made me love the Island as well. Muito Obrigado Eleuterio and Maria Joao!! Eleuterio's apartment is perfectly situated in downtown Ponta Delgada, walking distance to major restaurants and shopping areas, and easily accessible from the main roads/highway by car. The apartment itself is very spacious, well decorated and clean. Will definitely be going back to stay at Eleuterio's apartment when I go back to Ponta Delgada! Localização excelente perto do centro e de tudo em geral. o apartamento muito bem equipado acolhedor e muito limpo.O Proprietário muito simpático e prestável e ainda nos espera no aeroporto para nos levar ao alojamento,gostei muito vou recomendar.Mais uma vez obrigado sr. Eleutério o tempo também esteve otimo foi muito bom. I took Contact with Eluterio by mail and it was decided that he was going to pick us up at the Airport and so he did. He took us to the apartment and gave us a guided tour, explaining how Everything worked and where we could come in Contact with him if we needed anything or if there is any problem. The appartment was great, fully equiped. Clean, fresh and in the middle of Everything. 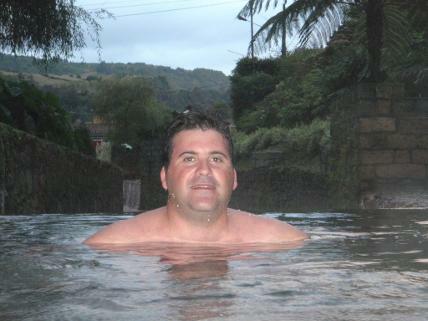 Best location in Ponta Delgada. Everything was perfect. The evening Before we was leaving we had a text from eluterio asking if we needed transfer to the Airport that he could take us. A really nice gesture. Thank you Eluterio. We had already arranged a taxidriver to take us and we was leaving really early. I only got superlative things to say about Eluterio and his appartment and we love to go there again. Eleuterio is a great host. He meets you at the airport and drives you to the apartment. He is very helpful with the messages prior to arrival. The apartment is located in the center of Ponta Delgada, is very comfortable and very clean and has all the amenities needed for a perfect holiday. It has a small elevator, which is very useful for all guests. 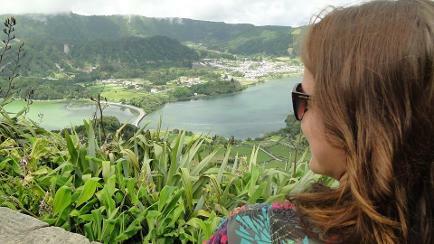 I would recommend it to anyone wanting to travel to Azores. This was a great location in the heart of Ponta Delgada. Eleuterio picked us up at the airport with maps in hand. 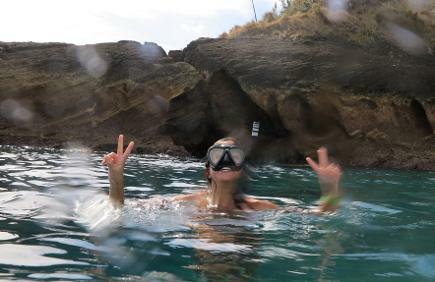 He suggested how we plan our visit to the islands and was extremely knowledgeable. The apartment itself was very clean and had all the amenities that we needed to make our stay enjoyable. Excellent location close to a park and very cute flat. Perfect for 2 ppl. Everything is in walking distance and very clean and new. Thank you for the airport pick up! I recommend staying at Eleuterio's place. 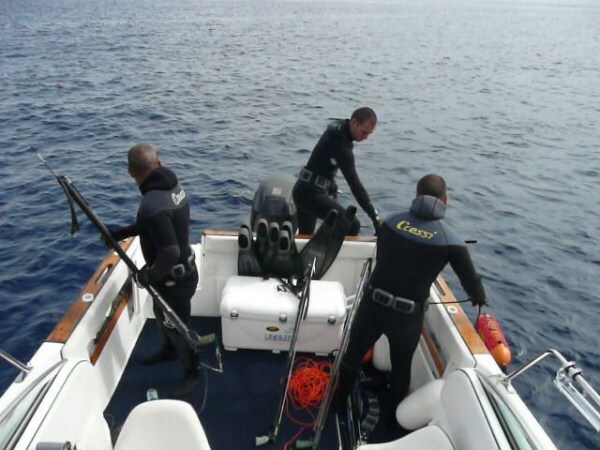 - the location is in the centre of the town convenient for everything ... Grocery Store at the corner (fresh fish every morning), coffee bars, great restaurants, bus stop for access to the island is a 5 minute walk from the apt. - Kitchen was huge - table etc. - Air-Conditioned (did not need it as it was 23 C the entire time. Honestly this is has to be one of the best Holidays we have ever had thanks to our hosts and the apartment. We hiked about 150 KM in the 7 days we were there and it was fantastic, great weather, beautiful scenery and friendly service in every town. Our Apartment was the top floor so we had the morning sun and afternoon sun - just amazing. Make sure yo bring good hiking boots - the bus service although not that frequent will allow you to see the entire Island. 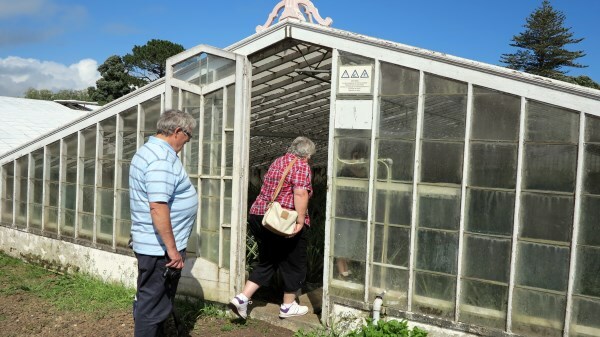 There is so much to see on the island - take your time and ensure you visit all the major attractions. Hope to return and enjoy again. The perfect host! Airport pickup, city guide included, excellent command of English, very helpful and informative; that would be a very concise characterization of Eleuterio. The apartment was spotless, right in the centre of PD (you could walk anywhere), and came with all the facilities one needs. Highly recommended! We chose Eleuterio’s place based on the positive reviews on Airbnb. 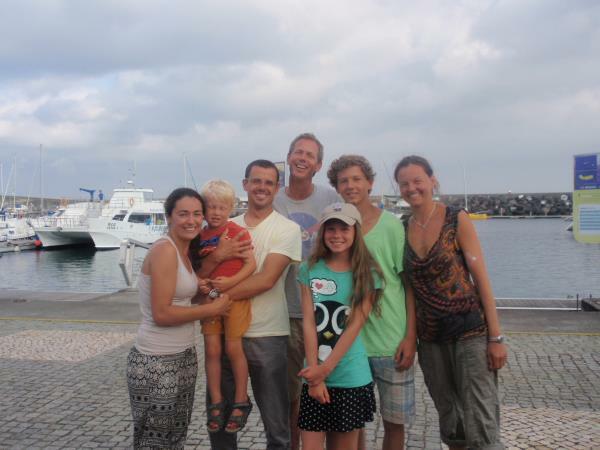 The apartment was a great place to be - central in Ponta Delgada and very clean and comfortable. We decided to take a day tour with Eleuterio and were so impressed and pleased that we continued with a second all-day tour. He was a fantastic host, and provided an individualized tour that was completely suitable to our abilities - He knew when to offer a short hike that was suitable for all and more challenging ones for those who were up to a more demanding hike. 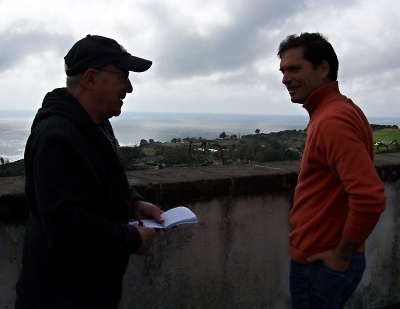 Eleuterio's tour included places that were not mentioned in the tourist guides, sharing his love of the island of Sao Miguel. 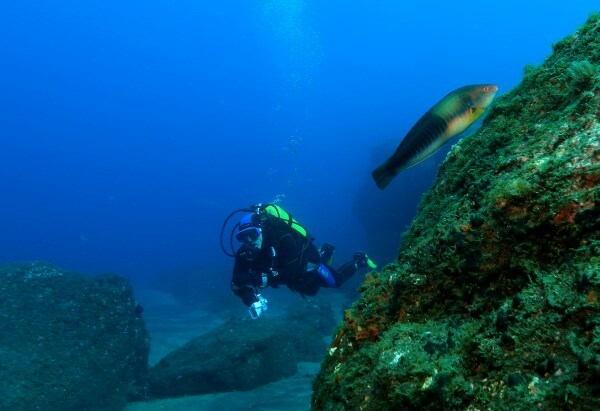 We can’t imagine a better way to discover all that Sao Miguel has to offer! "everything described in the listing was very accurate"
Eleuterio was a wonderful host. He picked up our family of four at the airport, and drove us around the area so we could aquainte ourselves which was very helpful. The apartment was spotless with an excellent location. He took his time with us when we asked any questions, and was very accomodating. 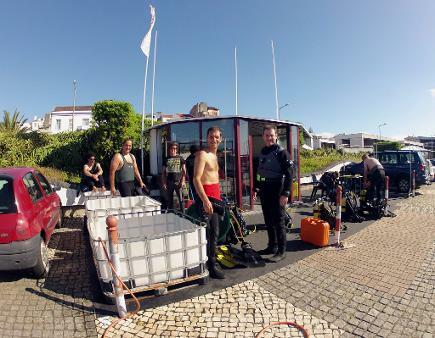 He and his wife were wonderful and I would highly recommend using his propties in Ponta Delgada. "Excellent place to stay - very convenient and clean"
This is a really nice apt in the central downtown part of ponta delgada. The apt was big enough for 4 people . We had a 9 month baby and the owner was nice enough to accomdate our requests. He provided us with a crib, baby blender and child car seat to take along the trip. The location is great because it's very central to many day trips around the island. Also, it's perfect for families because it's right beside the supermarket so we could cook our own food and do laundry when needed. I would totally recommend this apt and would stay here again. Eleutério, thank you for your hospitality! 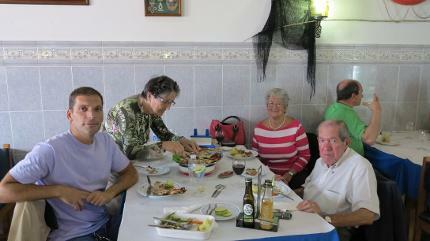 We stayed at one of the units at 90 Rua Machado dos Santos. The apartment is great for a family: it has a fully-equipped kitchen, a washer/dryer and a bedroom and a living room with an expandable couch that sleeps 2 people. It is located on the second floor of a building, looking out into the small inner patio. The owner provided us with a baby crib that was placed in the bedroom. The downtown is very close and a supermarket is located right next door. A multi-level parking is available also within a few minutes' walk away. 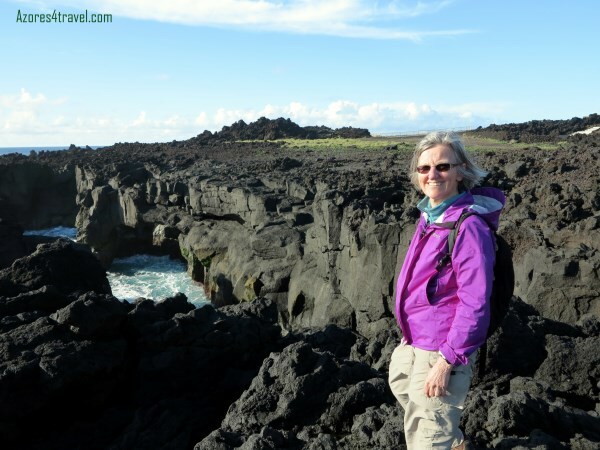 We rented a car, since Ponta Delgada is a great place for a 'base camp', from where we took trips arond the island and we took day trips for hiking and hot springs activities. The host, Eleuterio, met us at the airport and drive us back, and even gave us a baby car seat for our rental car. Overall, we will strongly recommend the apartment and Eleuterio's services. Thank you so much! We have just returned from a week in Ponta Delgada where we rented a small apartment in the center of the historic downtown. The apartment is clean, well equipped with elevator access. It is one to two minutes away from a supermarket, many fine restaurants and the city hall. Our host, Eleuterio, met us at the airport and we hired him to show us the island. We went out with him on three very packed and well organized day trips. He was very knowledgeable, good sense of humor and very sensitive to our tastes. Took and sent us off on small hikes. Found great restaurants for lunch and never seemed to tire of showing us his island. 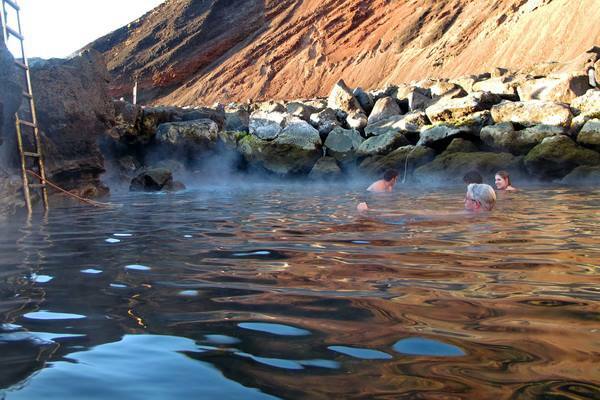 My one mistake was that I forgot to take my swimsuit which would have be useful for a quick dip in the thermal pools. Highly recommend this place. Perfect! Great Place for a single or a couple. Quaint apartment with all amenities offered. Beautiful view of Anthero De Quental park. Stores and main street within a minute or two walk. Mountain Bikes offered, added bonus. Eleuterio and (his beautiful wife) Maria are a very pleasant couple who made our stay very enjoyable, also made the apartment available one day earlier as we had to cancel another airbnb reservation due to conditions of the flat. 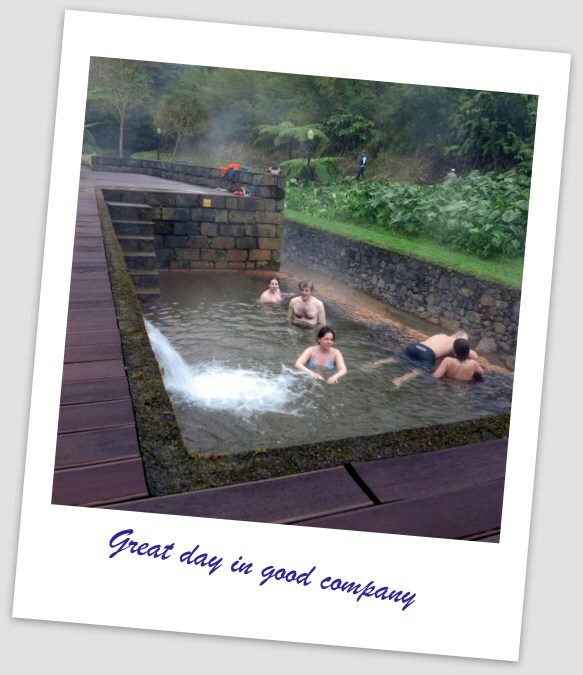 If and when we do visit Sao Miguel, we definitely stay at an Eleuterio rental. Thanks for everything! A visitor can't ask for a better in-town location. 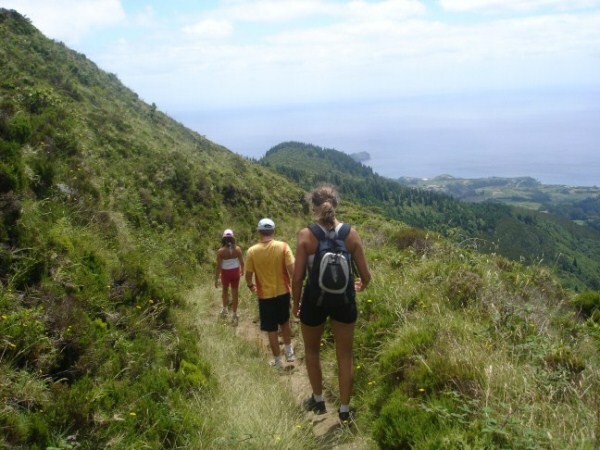 Great apartment for a couple or small family to serve as a base for exploring Sao Miguel island. Steps from restaurants, shops, grocery, taxis and the central harbor. The owner is a kind host who will provide transport from the airport. We very much enjoyed our stay. Foi um prazer conhecer o Eleutério e ter a oportunidade de estar hospedado num apartamento tão cêntrico. O apartamento está muito bem cuidado e descrição e absolutamente correcta. O Eleutério foi bastante amável e foi-nos buscar ao aeroporto, e ainda deu-nos um pouco do seu tempo para nos mostrar zonas de interesse no centro da cidade, assim como nos ajudar a localizar através de um mapa e guia. Foi uma óptima experiencia, e certamente que se repetirá. 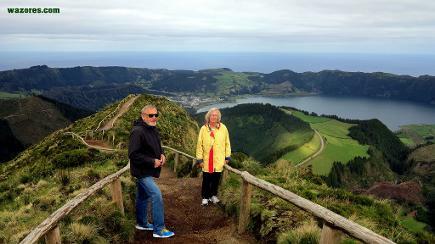 My daughter and I arrived in Ponta Delgada on a Saturday in March. Eleuterio was waiting at the airport and took us to his studio. We were please to find that it was in the heart of the city. Walking distance from the city gates. He afford us the use of bikes but my daughter was to small to use them. His place was great! Clean walking distance to everything including buses with everything you need including a washing machine and full stove. The studio was in a safe location and we enjoyed it immensely. I wish you had "excellent " as a choice in this survey. I would rate my accommodations and satisfaction to be excellent! The apartment was immaculate, well equipped and very centrally located and affordable. It was wonderful to have Eleuterio waiting at the airport for transport to the apartment. Above all, Eleuterio went out of his way to be helpful and on call for any questions or information needed for the most enjoyable stay in Ponta Delgada. It was my first time but I am sure I will be back. What a wonderful and picturesque place and fantastic host. Thanks Eleuterio. Hope I get to see you next year for a longer stay. The apartment is in an excellent location and is very comfortable. Our favorite part was the incredibly well-stocked kitchen! Eleuterio is wonderful- he picked us up at the airport and gave us many recommendations for activities to try around the island. Be sure to go on a tour with him for a real local experience! All in all, you will get a lot for an incredible price! Eleuterio was a fantastic host!! Couldn't be happier with my experience. He was very understanding of our needs and accommodated us accordingly. Location was great. Would definitely rent from him again!! 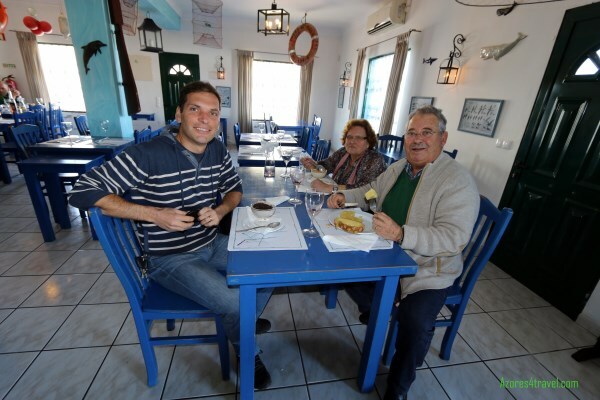 Eleuterio's place in Ponta Delgada was perfect for our stay! Conveniently located near everything and affordable. He was so nice--took us to and from the airport and gave us the option of borrowing bikes, parking, etc. It really could not have been any better. What a gem The Azores are, and having an apartment in the centre of town made is easy to see many of the sights of Ponta Delgada. Eleuterio was an exceptional host in every way possible. Picking us up at the airport, and driving us to the store to get essentials before taking us to the apartment. The apartment had everything we needed for our stay, and was clean and well cared for. 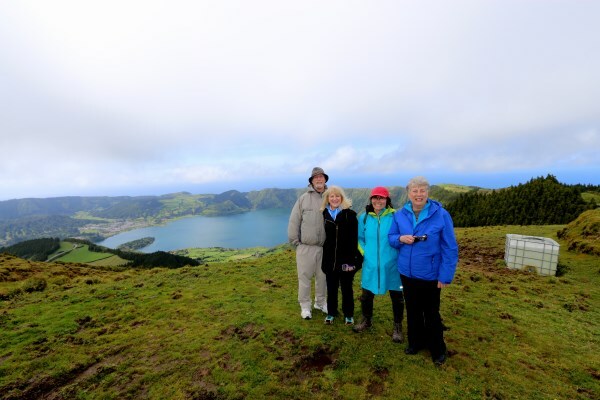 Our host took us on a tour to see the east part of the island, and we would recommend any of the trips on offer as an introduction to Sao Miguel. As seniors we were able to take advantage of seeing part of the island without having to take buses or rent a car. We both look forward to going back in 2015 for a longer stay to take in even more of what the island has to offer. Thanks Eleuteio for the great time we had this year. Dear Mr Valido. we thank you for your extraordinary auxiliary candidness and all your friendly. We have felt very comfortable here, much and nice seen, wonderful music experience and new impressions won. We thank you and your wife for all. See you next year! This apartment is ideal for one or two persons who want to experience Ponta Delgada and all of its beauty on a budget. A new contemporary studio apartment with all the amenities and a great park view! This apartment is safe and centrally located for shopping, walking on the sea port or relaxing in one of its many beautiful gardens. There is plenty of night life, restaurants and daytime excursions at your fingertips. The streets of Ponta Delgada are safe and easy to navigate. You have privacy and access to your host if needed. Additionally, you are escorted to and from the airport by your host for added convenience and savings. This is truly a dream apartment!!! Perfect! Location 100%. Pickup from airport, orientation tour PD. Free bike! Appartment beats any hotelroom for sure! Great view over park. Eleutério is a very nice person who really cares about his guests. Thank you for a wonderful few days. Eleutério is a very conscientious host. He was very helpful and informative both before our arrival and during our stay. The apartment is impeccably clean, has a very comfortable sitting area, well equipped kitchen, and good shower. The bed Is firm, but comfortable. This is the first place we stayed with a down (or down like) duvet and was nicely cosy when the night was cool. The location is very central on a shopping street. Our apartment was in the back, and very quiet with good light coming in from the courtyard. The lift makes for easy access, very nice for going up. We usually walked down. 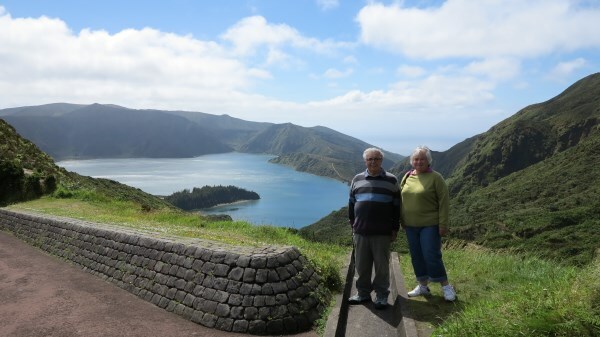 We hope to return to Ponta Delgada and would definitely stay at Eleuterio's apartment. It was a great stay. Eleuterio picked us up at the airport, and was a a wonderful host. He made everything easy. He even had a guided tour service around the island at a very reasonable price. As for the apartment itself, it was right "downtown" so the location was fabulous. Ficamos alojados sem dúvida no melhor spot de toda a ilha, o apartamento resume-se em 3 palavras: - Conforto - Acessibilidade rápida - Higiene Além de tudo (e o mais importante), fizemos uma amizade para a vida com o Eleutério. Ficam sem dúvida bem entregues eu RECOMENDO!!! Ah bons mergulhos Eleutério hehehehe vemo-nos em breve! Very well located at the city center, close to all amenities in Ponta Delgada. The apartment is well maintained and very clean the kitchen and bathroom is surrounded by ceramic tiles.The elevator was great to take our baggage to the second floor. Eleuterio also supply a parking location in case we have a car rental to visit different locations in this beautiful Island. Upon our arrival Eleuterio was very helpful explaining our surroundings and made sure his costumer is 100% satisfied. I really enjoy my staying in your apartment, and I am so happy that I got the possibility to stay here for two weeks, I love being able to read and eat outside. Best regards. Very cosy and modern house in the plain center of the city of Ponta Delgada. Near everywhere on foot. The owner is very friendly and helps a lot for people to feel confortable as at home. Fair price and you will not feel disapointment. o melhor acolhimento sem duvida é com a Azores Rent, pontualidade e simpatia. a estadia tem tudo o que de melhor se precisa para descansar, higiene espaço e relaxe. sinto me como em casa, faço votos de voltar em breve! obrigado por tudo. Agradecemos imenso pelo vosso apartamento, que nos deixou a impressão de quando voltar a São Miguel voltarei a contatar consigo para a próxima estadia. Muito bem decorado e com todos os utensílios necessários para o conforto dos vossos hospedes. Obrigado pela sua ajuda. Hi Eleutério, thank you very much for everything, we also thank you for having left the message at the front desk of Pousada da Juventude at Lagoa in order to arrange the check in hour. We have had a very nice stay at your apartment. Everything was perfect. Thank you! Estadia em São Miguel. O apartamento que ficamos era excelente. Tinha todas as condições para umas férias perfeitas. Recomendo e espero voltar! 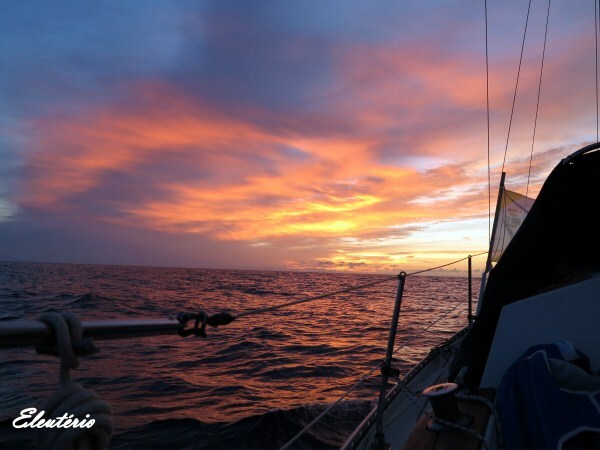 Estou em P Delgada à 8 dias, agora estou em S.Roque. o Apartamento em P Delgada é de longe o melhor. O Eleutério sabe receber bem os turistas, tem o apartamento muito bem tratado (novo). Tem higiene tem todos os equipamentos. É uma boa escolha. First, thanks to Eleuterio for being an amazing host! The apartments are located in a very comfortable place with everything around them: taxis, buses and shops. It was a marvelous feeling returning after a long day of hiking into a beautiful, clean apartment, with literaly everything in it: a refrigerator, washing machine, hair dryer, TV and even Wi-Fi. We had a great time on the island and Eleuterios apartments made it even greater! Gostamos muito da estadia em Ponta Delgada. O apartamento era perfeito, muito bem localizado e com todas as comodidades. Soy Rosalía, la pareja de Barcelona que estuvo alojada en los dos apartamentos. Ayer llegamos a Barcelona, porque después de San Miguel también visitamos la isla de Flores. Thank you! everything was perfect. We enjoyed staying in this great apartment! 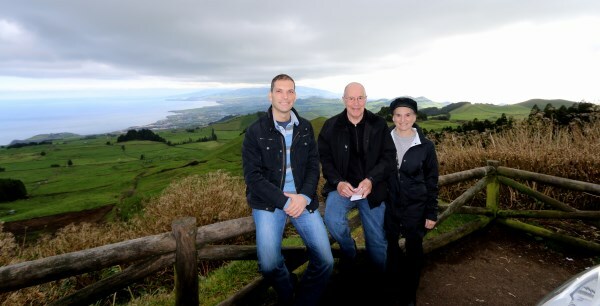 This was our first visit to the Azores. We were met by Eleutério at the airport. On the way to the apartment we were taken around Ponta Delgada where Eleutério showed the points of interest where we could find restaurants, supermarkets and some of the history of the town. The apartment has all you need to make an enjoyable holiday and as I have restricted ability to climb stairs the elevator was wonderful. The apartment is a good size with the kitchen having all that you could wish for and for the first time a toaster is included, something we have always wished had been included in an apartment. The bathroom has plenty of storage space and is also a good size. The bed is very comfortable and there is a large wardobe for storage with plenty of coat hangers. There is access to the front balcony which makes the room light and airy. The lounge has a very comfortable L shaped chair which can convert to a double bed. The large flat screen television has a good quality picture. A fast reliable internet connection is now available in the apartment offering both WiFi and RJ45 connection. There are two large balconies one to the front and a large one at the back which also includes a line to dry washing, both attract the sun and are not over looked. 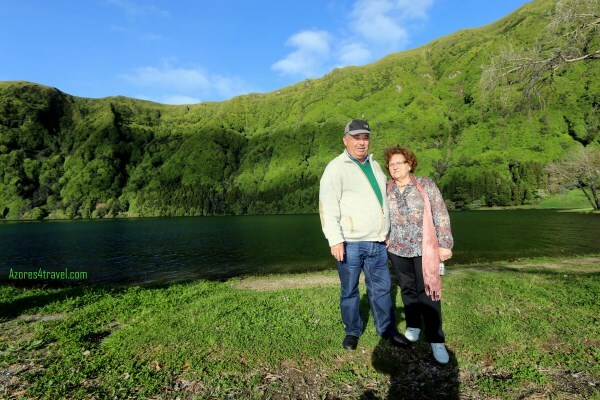 Whilst on our holiday thanks to Eleutério we were able to use the services of Azores4travel to take tours around the Island. 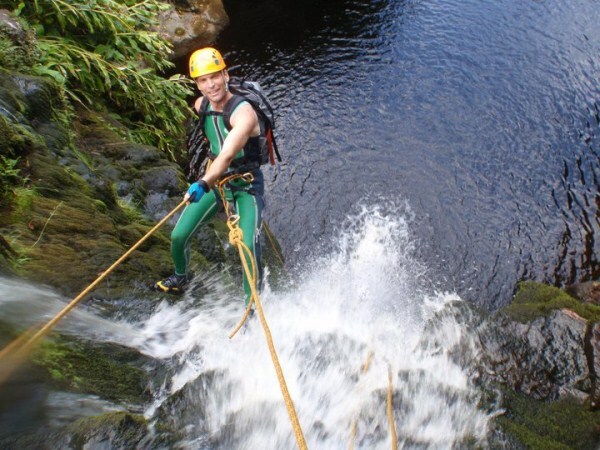 These are not your normal tours stopping at a coupe of locations but in depth tours showing all the best features of the Island many of which are only known to the Azoreans. 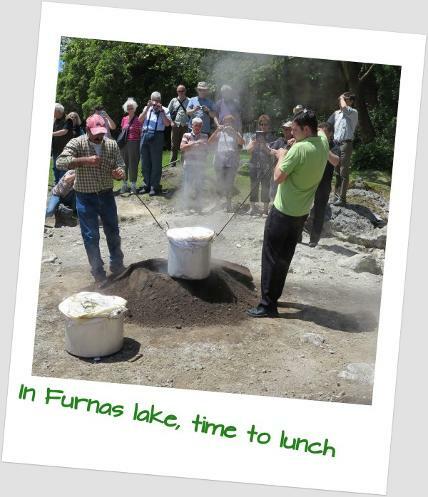 We enjoyed our tours so much that we took all three tours on offer. We now feel we know enough about the Island to want to return for another holiday as soon as we can. We cannot thank Eleutério enough for showing us such a wonderful Island and giving us the best holiday we have ever had. Hello Mr. Eleuterio, I proudly can say that you are impecable, very efficient,etc. I higly recommend, your apartments, to my family and friends , they are remarkable very clean, cozy, cannot ask for more, and the location is excellent 5 star*. Congratulations and many thanks for everything. This a fantastic apartment location for exploring Ponta Delgada and the surround. Easy walk to everything the city has to offer. Very quiet and clean with everything we needed for a pleasant stay. Eleuterio was an excellent host. Upon arrival, he was kind enough to pick us up at the airport and give us a little driving orientation of Ponta Delgada before dropping us off at the apartment. When access to the internet was disrupted to our apartment, Eleuterio promptly addressed the issue (not a significant problem in any case because free access can be found throughout Ponta Delgada). We would definitely use the apartment again if we visited the area. cannot recommend both the studio (which is really a 1-bedroom apartment!) or the host, Eleutério, enough! First of all, the accommodation itself is located on the central street in Ponta Delgada, with everything - restaurants, shopping, City Gates - literally around the corner. The apartment is very clean, has warm duvets and extra blankets, tons of towels, a well-stocked kitchen and is overall a lovely place. The best part about our stay was Eleutério himself though. He gave us a warm welcome, met us at the airport, drove us around for a city tour and was very very quick about addressing any complaints we could have had (which we didn't really). We had an amazing time. Wir haben eine Woche das Appartement gemietet. Außerdem einen Garagenplatz um 20€/Woche, um die Ecke. Die Wohnung ist sehr sauber, gut ausgestattet. Eine Küchenschere würde alles komplettieren. Eleutério ist sehr hilfsbereit und immer zu erreichen. Sein Geschäft liegt vis a vis. In der Nacht ist es ruhig.Der Markt ist in 10 Minuten zu erreichen. Trotz Mietwagen hat uns der Vermieter vom Flughafen abgeholt und uns den Weg gezeigt. Wir haben sehr viel von der Insel gesehen. Wir haben uns sehr wohl gefühlt und können die Wohnung weiter empfehlen. Wir haben eine Woche im T1 Appartement gewohnt und es hat uns sehr gut gefallen. Das Appartement liegt im Zentrum von Ponta Delgada. Nachts ist es dennoch ruhig. Ponta Delgada ist eher ein kleiner Ort als eine Stadt. Der nächste Supermarkt ist nur eine Minute entfernt. Außerdem bietet sich Ponta Delgada hervorragend als Ausgangspunkt für Ausflüge in alle Regionen von Sao Miguel. Es gibt mehrere Mietwagenfirmen Das Appartement umfasst je ein Wohn- und Schlafzimmer, eine gut ausgestattete Küche und ein Badezimmer. Alles ist gut in Schuss und vor allem SEHR sauber. Einmal die Woche wird das Appartement gereinigt. Handtücher und Bettwäsche werden gestellt. Der sympathische Eigentümer Eleutario holt die Gäste selbst am Flughafen ab. Wir können das Appartement wärmstens weiterempfehlen. The serv. from our host was above and beyond our expectations. The apartment was modern and spotless. Eleuterio picked us up from the airport and gave us a quick tour of the city. The apt is on a bustling street with nearby cafes, restaurants, and grocery. Casa nova excelente e com todas as condições, muito bem localizada no centro da cidade... Uma palavra especial de agradecimento ao Sr Eleutério pela sua simpatia, disponibilidade e cordialidade com que nos recebeu !!! Muito obrigado, Eleutério... Se/quando voltar a Ponta Delgada será com toda a certeza que nós iremos contactar !!! Gut ausgestattetes und bequemes Apartment, in unmittelbarer Nähe zu allem, was in Ponta Delgada wichtig ist - und ein toller Gastgeber, der uns auch für einen nur zweitägigen Aufenthalt vom Flughafen abholte! Muito obrigada, Eleuterio, foi maravilhoso ter podido ficar no seu apartamento, atė à próxima! Eleuterio is a great host. He met us in the airport, was very helpful and responsive during the stay and brought us at the airport when we were to depart, despite it was quite early in the morning. The apartment has all you need during short and long stay: iron, washing machine, all kitchen utensils and so on and so forth. The place is very clean, rooms are large and the block is new. It is conveniently located close to a big supermarket and a hotel in case you need a taxi. If you are looking for a place that can accommodate a big family, especially for a long term, nothing can be better. Eleuterio, thanks a lot for the great staying. "Our Stay in The Azoes"
This apartment was right in the middle of Ponta Delgarda which was very handy for excursions etc., The local swimming pool and natural pool was about 5/10 mins away. There was everything you could possibly need in the apartment. Was very impressed. 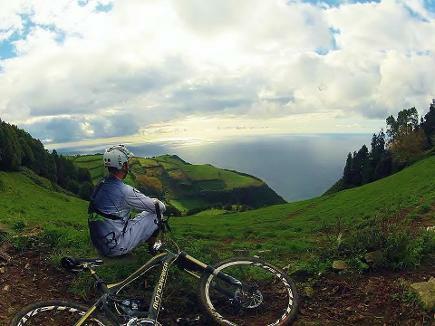 The Azores - Our flat was ideal for what we wanted. The balconies were great Sunshine all day. The flat was well equiped with everything you could want. Was in heart of Ponta Delgada, very convenient for excursions etc.,On arrival was picked up by owner which was nice touch. We would recommend this flat highly. The flat was idyllic for our taste. I loved the dual aspect terraces, so we catch the sun all day, when it was available! The furniture and pictures on the walls were beautiful and the situation at the town centre meant we did not have the expense of car hire. Thank you also for doing everything to please me, the third bed, DVD, and fixing hot water on a sunday,all so efficient and more than anyone should expect. Andy and I hope to come again, and hope you will let us borrow the flat again. It is the nicestplace we have stayed in during all our travels in the Azores. Thank you very much and good luck in keeping the business Azoresrent with the wonderful video show! A nossa estadia no T2 Oceanus não poderia ter sido melhor. Apartamento com optimas condições, perfeito para uma família ou grupo de amigos (como era o nosso caso). A localização era excelente, com serviços úteis bem perto (padaria/supermercado)e estacionamento fácil para quem tem carro. Um apartamento sem dúvida a recomendar e a voltar. Obrigada pela hospitalidade. Eu e os meus familiares ficamos muito satisfeitos com a estadia em Ponta Delgada,além da natureza natural da ilha, os aposentos do Sr Eleutério, são de excelente qualidade e de uma limpeza 5 estrelas, para além da excelente localização.Os meus parabéns.Vou recomendar aos meus melhores amigos que queiram visitar Ponta Delgada. A very nice, clean and spacious apartment in the heart of Ponta Delgada. Only three minutes walk to the harbour with its shops and restaurants and a ten minutes walk to the natural and swimming pool. The apartment is next to one of the few supermarkets in Ponta Delgada. It has most the amenities you expect and need (washing machine, fridge, cooker & oven, fan, flatscreen tv), only things missing are more channels on the tv and wifi. A very big plus is the transfer from the airport to the apartment. Hi, I would like to thank you Eleuterio for the service and all that goes with your appartment rental. It was a great month and we enjoyed our stay. We did not need a car during the stay and this was only possible because of the location of the appartment. Many thanks and please count with us for next year !!! Best regards and "um grande abraço"
Antes de mais nada quero agradecer todoa simpatia e cuidado que o sr Eleutério e esposa tiveram para connosco ( eu ,meu marido e filha)..O apartamento muito agradável com uma localizaço excelente, muito bem equipado e limpo....não podia ser melhor...Irei de certeza recomendar os vosos serviços aos nosos amigos e familiares...muito obrigado e desejos de muito sucesso...Espero ter a oportunidade de no futuro voltar ..Cumprimentos..
Antes de mais, quero agradecer todo o cuidado que o Sr. Eleutério teve para connosco, eu, a minha mulher e a minha filha, isto aquando da nossa chegada ao Aeroporto de Ponta Delgada, mesmo nós tendo chegado por volta das 07:45h. Conduziu-nos ao apartamento, o qual impecável em termos de tudo, limpeza, lençóis, atoalhados, com todos os apetrechos necessários, enfim uma maravilha (*****). O apartamento é muito central e perto de tudo, supermercado, lojas comerciais, monumentos, etc. Só pena, foi mesmo o nevoeiro que infelizmente não nos deixou ver aquilo que mais desejavamos, a Lagoa do Fogo e as Sete Cidades, mas enfim, aí o alojamento já não tem culpa (Rss). Irei voltar com toda a certeza e regressarei também aos apartamentos do Sr. Eleutério. Muito obrigado a ele e que continue a trabalhar desta forma, porque só assim se consegue o sucesso desejado. Grande abraço. A minha estada em dois momentos diferentes e apartamentos diferentes revelou-se muito boa. Saliento três aspectos: a)as condições objetivas dos próprios, considerando as áreas, o equipamento, o cuidado de limpeza,a surpresa de encontrar aspectos que normalmente quem aluga este tipo de habitação não tem em conta; b)a razoabilidade do preço, face às condições proporcionadas, realçando ainda uma localização bem no centro de Ponta Delgada; c)a manifesta preocupação do Senhor Eleutério Valido em bem receber e em, de forma muito gentil, ir ao encontro de necessidades ocasioinais das pessoas que se alojam nos apartamentois. É com muito prazer que aqui deixo este simples e justo testemunho. Espero ter a oportunidade de, no futuro, voltar. Apartamento fantástico no centro de Ponta Delgada com uma excelente relação qualidade preço. Até nos deram uma optima dica "para estacionar o carro" Se visitarem São Miguel, fiquem aqui. Obrigada. Desde já agradeço a simpatia, boa disposição e toda a atenção que o Sr. Eleutério dispensou-nos durante esta estadia em Ponta Delgada. Os apartamentos estão muito bem equipados, bem situados e com tudo o que é necessário. Sem dúvida uma mais valia para se fazer esta viagem. Além disso a relação preço/qualidade é realmente boa! Difícil de encontrar melhor. Da nossa parte um muito obrigado e até um dia destes. Já o recomendei a inúmeros amigos que gostam de viajar. Em suma, umas férias muito boas e com uma estadia magnífica. Abraço! Antes de mais quero agradecer, a sua simpatia e disponibilidade com que nos recebeu.O espaço é ideal para umas ferias em família, bem localizado, bem equipado. O preço é excelente muito importante nos dias que atravessamos muita qualidade por um preço bem acessível. Já o recomendei,a amigos meus, e certamente irei regressar. Um abraço. Bom apartamento, todo equipado e muito bem situado, o melhor que posso dizer é que penso voltar certamente. Obrigado. Antes de referir a estadia, queria deixar bem claro, a simpatia e disponibilidade com que nos recebeu.O espaço é ideal para a familia, bem localizado, bem equipado. O preço também é muito importante, na atual conjuntura. Já o recomendei,a amigos meus, e certamente irei regressar. Um abraço. Quero agradecer pela forma como me recebeu, pela sua simpatia e disponibilidade. Fiquei muito bem instalada e muito satisfeita com o serviço prestado. Irei de certeza recomendar os seus seviços a quem venha visitar esta ilha encantadora. Um agradecimento à senhora que veio limpar a casa, deixou-me tudo sempre impecavél. We have recommended the apartment to all our family and friends. We stayed in the T1Plus apartment and it was amazing. We could not have asked for a better place to stay on our 3 week vacation to Sao Miguel. It was fully equipped and very clean. The apartment location was excellent...walking distance to everything you could ask for. 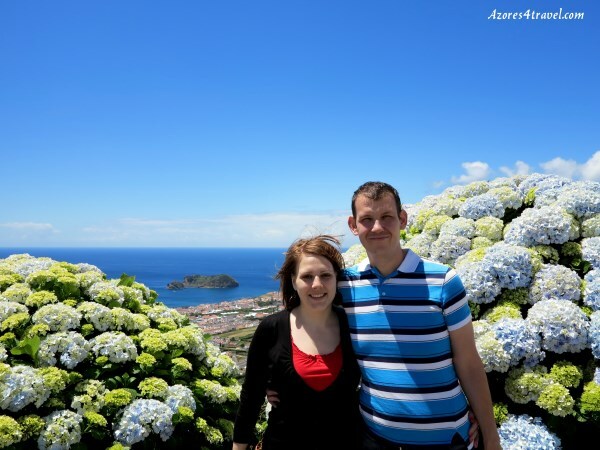 We have visited Sao Miguel many times before but this stay was one of the best. We walked everyday. The hospitality received from Mr. Eleuerio Valido was "excellent". "Thank you Mr. Valido and we look forward to a future stay in the apartment." "The apartment was perfect. We loved everything about it. It felt like home! 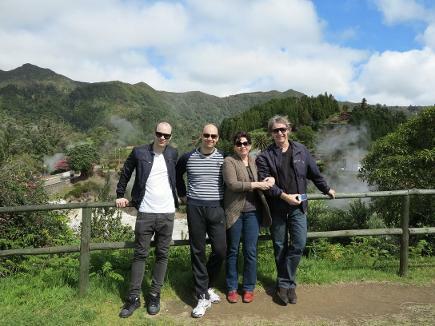 We had such a nice time in the Azores. Thank you for providing such lovely accommodation. We hope to come back next year. Many thanks"
" A estadia no seu apartamento foi muito boa, pena foi, ser por pouco tempo. Estão bem situados e no apartamento em que estivemos está muito bem mobilado. A divulgação na internet, 5 estrelas. Agradecemos a simpatia com que nos recebeu. Já o recomendei. Desejamos tudo do melhor para o vosso futuro. " 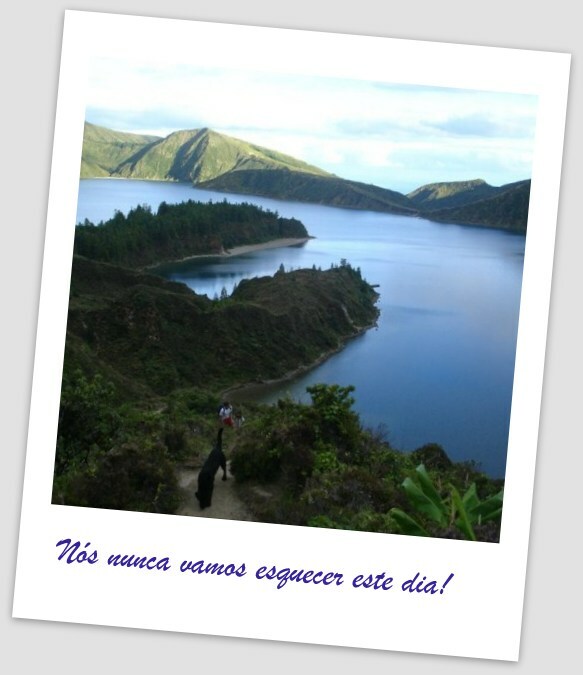 " I Cant´t tell you how much we enjoyed your apt in Ponta Delgada! 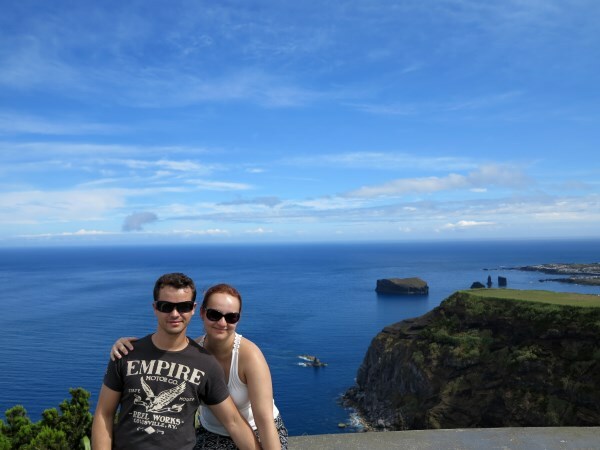 It was amazing and we had such a good trip to São Miguel! Thank you for your help. That apartment is beautiful and in such a good location. It was easy to get around and really just completed our trip so well. " "There is nothing else you can ask for an apartment because this apartment has it all! This apartment is located right in the heart of Ponta Delgada and is close to all the shops, restaurants, marina and historical sites. I highly recommend this apartment to anyone who is planning a visit to São Miguel! I have even told all my friends and familiy about this place. Thank you for all your help and hospitality! " I strongly recommend the apartment. Everything was new, very clean, there was a free internet. We greatly enjoyed our stay at T1 apt. The owner, Mr Valido, met us at the airport, helped to receive our baggage ( which arrived only a day later). The location is great too, very close to a supermarket, ocean, botanic garden, city center, everything." "Queria agradecer-lhe pela simpatia com que nos recebeu e o à vontade com que nos deixou. O apartamento é excelente e tém tudo que faz falta. Adoramos conhecer S.Miguel, mas afinal já sabe que mora no sitio mais bonito do mundo. Acredite. " " Thank you so much for the great adventure. You made my stay in São Miguel an unusual and unforgettable adventure. Hopefully, I will return some day." A estadia nos Apartamentos, sim porque estive em dois com pouco tempo de intervalo, revelou-se um excelente local para um regresso a Ponta Delgada. Muito boa localização para quem tenha dificuldade de acesso, no centro da cidade e na parte antiga. Tudo fica a poucos minutos a pé. Os apartamentos estão bem equipados o que permite uma estadia agradavel e cómoda , mesmo com crianças. Obrigado pela simpatia e recomendo vivamente. João. " " Uma semana de férias fantásticas!! Não podemos desejar mais! Um óptimo apartamento com a localização perfeita, a simpatia com que fomos recebidos pelo Eleutério, e claro, todas as maravilhas naturais de São Miguel tém para oferecer fizeram com que ficássemos com vontade de voltar em breve e recomendar a todos! Muito obrigada por tudo!! " Não quero deixar de agradecer a hospitalidade com que fomos acolhidos. Quero destacar a qualidade do apartamento e óptima localização do mesmo. Recomendo a quem queira visitar os Açores a estada num apartamento no centro de Ponta Delgada a optarem por estes apartamentos." Foi uma óptima estadia em Ponta Delgada. O apartamento tem óptimas condições e está muito bem equipado. Agradeço toda simpatia que nos prestou. Obrigado"
Gostamos imenso de conhecer São Miguel. Estamos muito agradecidos pela maneira simpatica como fomos recebidos. Os apartamentos estão muito bem situados e equipados o que nos leva vivamente a recomendar." Agradeço a amabilidade com que fomos recebidos. A nossa primeira visita a uma ilha muito bonita foi mais agradavel ainda graças à simpatia e apoio constante que recebemos do Eleutério. As condições, higiene, privacidade, e a localização priviligiada são óptimas. Recomendarei a todos os meus amigos. Obrigado." " Tivemos o prazer de ser os primeiros inquilinos e ficamos muito satisfeitos. Os seus apartamentos para além de estarem muito bem localizados estão muito bem equipados, tendo todas as condições necessárias para que a estadia seja agradável. Agradeço a amabilidade com que fomos recebidos e irei de certeza recomendar os seus apartamentos."